Paul Klee is considered as one of the best artists to come out of Germany and perhaps the most inventive artist of the twentieth century. Know more about the life and artwork of Paul Klee through these 10 interesting facts. Paul Klee was born on 18 December, 1879 in Switzerland. Both his parents were involved in music. 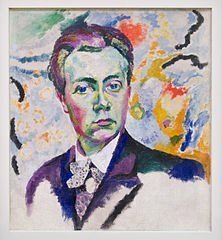 His father Hans Wilhelm Klee was a German music teacher while his mother Ida Marie Klee was a Swiss singer. 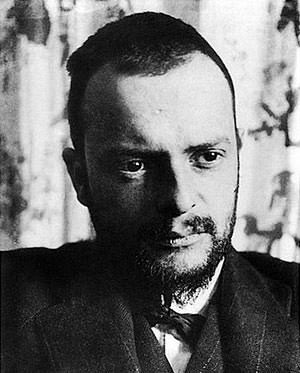 Initially Klee was inclined towards following his parent’s footsteps and becoming a musician but in his teenage he switched to visual arts as he “didn’t find the idea of going in for music creatively particularly attractive in view of the decline in the history of musical achievement.” Klee didn’t think highly of the musicians of the time and the greatest composers according to him were Bach and Mozart. At first, although he was satisfied with his etchings, Klee struggled with colors. The use of bold colors by artists like Robert Delaunay and Maurice de Vlaminck inspired Klee and so did Paul Cezanne’s coloring in which he modified naturalistic color to harmonize them. But instead of copying these artists, Klee started doing his own experimentation with colors. Klee studied the color theory and wrote about it extensively. He once remarked, “Color has taken possession of me; no longer do I have to chase after it, I know that it has hold of me forever… Color and I are one. I am a painter.” Today, Klee is referred to as the Newton of Color. In 1916, Klee was forced to join the military forces due to the advent of World War I. Although he never served on the frontline, the death of two of his friends in the war affected him and its influence can be seen in some of his paintings. From early 1917, he was transferred to work as a clerk for the treasurer till the end of the war. This allowed him to continue painting and by the end of the year he was considered by critics as best of the new German painters. 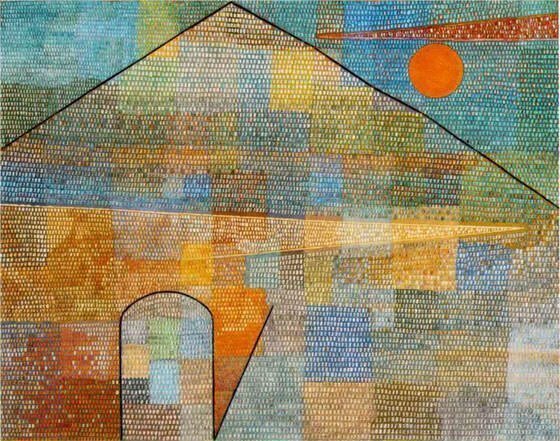 From 1921 to 1931, Paul Klee taught at the German Bauhaus school of art, design and architecture. A collection of his Bauhaus lectures and other essays on art are known as the ‘Paul Klee Notebooks’. These are held in the same regard in modern art as Leonardo da Vinci’s ‘A Treatise on Painting’ holds for Renaissance artists. A critic even went to the extent of saying that as Newton is to Physics, Klee is to modern artists. 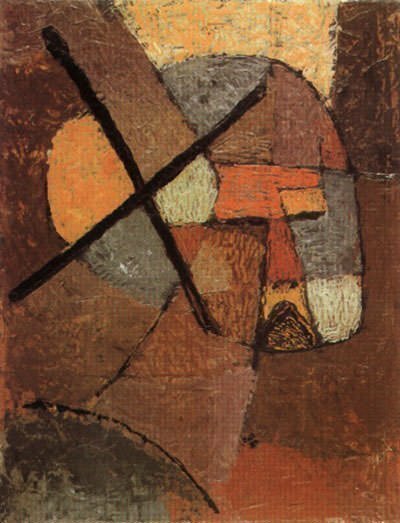 From 1931 ton 1933, Klee taught at the Dusseldorf Academy. During this time he was targeted by a Nazi newspaper who labeled him as a ‘typical Galician Jew‘. His house was searched by the Gestapo and he was fired from his job. This sad occasion has been commemorated by Klee in his self-portrait Struck from the List (1933). All this led to Klee immigrating to Switzerland with his family by late 1933. Klee died on 29 June 1940 in Switzerland, 7 years after being diagnosed with the deadly disease scleroderma. At the time of his death, he didn’t have Swiss citizenship, though he was born in that country, as his work was considered too revolutionary. His request was accepted six days after his death. Klee was a prolific painter with over 9000 works of art. He created nearly 500 works in 1933 and over 1200 in 1939, which was the most he produced in a year. Klee once described drawing as “taking a line for a walk”. ‘Ad Parnassum’, which he painted in 1932, is widely considered his masterpiece and the best example of his pointillist style. Klee’s works have been associated with Expressionism, Cubism, Surrealism and Abstraction but it is difficult to classify them. He interpreted art trends in his own way and used innovative methods and techniques. He worked in multiple media and even combined them into one work at times. Influence of his interest in music can be seen in his works, which also showcase his varying moods and dry humor. I love this it is really informing. This helps me with my school work/art project. Thanks. I told my friends about they think it is good as well. I’m getting conflicting information…. 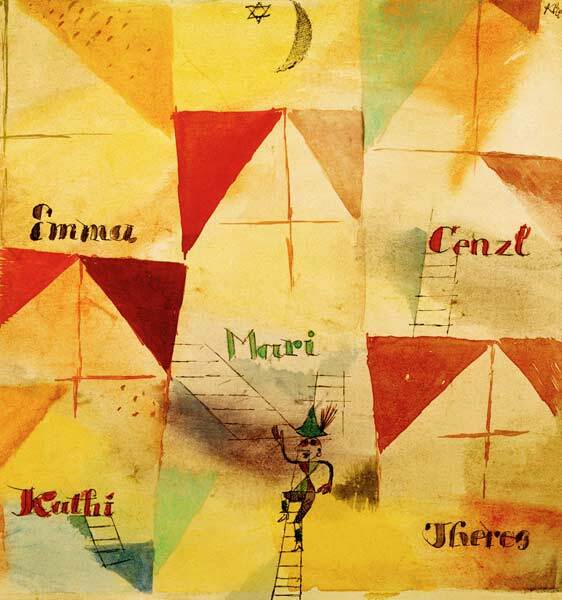 Paul Klee was labeled a ‘typical Galician Jew‘…. but was he actually Jewish?